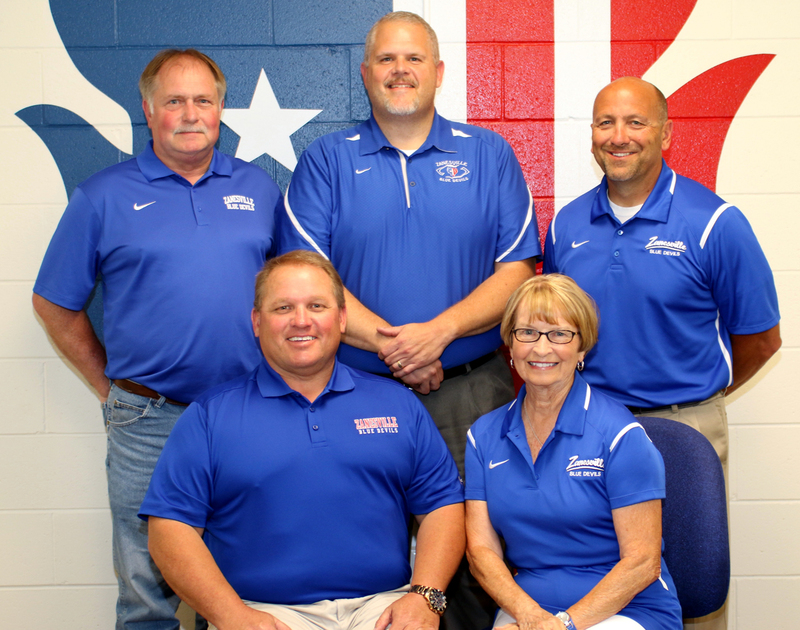 Current board members are, from left, front row, Brian Swope (president) and Vicky French, and, back row, Mike Coulson, Fred Curry, and Scott Bunting (vice president). 3. topic to be addressed. B. In order to permit the fair and orderly expression of such comment, the Board shall provide a period for public participation at every regular meeting of the Board and publish rules to govern such participation in Board meetings. A. Public participation shall be permitted as indicated on the order of business and/or at the discretion of the presiding officer. B. Attendees must register their intention to participate in the public portion of the meeting upon their arrival at the meeting. C. Participants must be recognized by the presiding officer and will be requested to preface their comments by an announcement of their name, address, and group affiliation, if and when appropriate. D. Each statement made by a participant shall be limited to five (5) minutes duration, unless extended by the presiding officer. E. No participant may speak more than once on the same topic unless all others who wish to speak on that topic have been heard. F. All statements shall be directed to the presiding officer; no person may address or question Board members individually. 6. waive these rules with the approval of the Board when necessary for the protection of privacy or the administration of the Board's business. H. The portion of the meeting during which the participation of the public is invited shall be limited to thirty (30) minutes verbal, unless extended by a vote of the Board. Click here to access the Zanesville City Schools officially adopted bylaws and policies. Please note that this site is not contained within the District Web site. Click here to read the updated policy regarding School Resource Officers in our District. The Board of Education, on August 16, 2016, adopted the District's strategic plan for 2016-19. Click here to read this document. It will be periodically updated to reflect progress toward goal completion. Regular meetings of the Board of Education begin at 5:30 p.m. on the third Tuesday of each month during 2019 (special regular meetings as indicated). Meeting sites are listed below. Regular meetings moved from the planned dates and/or times are known as special regular meetings, and are announced. Special meetings are announced as necessary. Meeting agendas are posted here prior to regular meetings, and prior to special meetings as possible. Meeting minutes are posted here after they have been approved by the Board at its regular (or special regular) monthly meeting.